You must track your macronutrients (% of fat, protein and carbs) in order to move your body towards a state of ketosis. Your fasting blood sugar is perhaps the most valuable metric to track as you move towards a state of Ketosis. Sent a benchmark early on in the process. Testing your ketone levels with a breath analyzer is a valuable metric throughout your keto diet. Get the inexpensive Ketone Breath Analyzer here! If you're anything like me, you will find that getting your fat high enough can be quite a challenge. Aim 70-80% of your calories from fat. Include a variety of healthy fat sources including olive oil, avocado oil and coconut oil. Contrary to some advice you'll read, Keto is not a high protein diet. Aim for 15-25% of calories to come from protein. 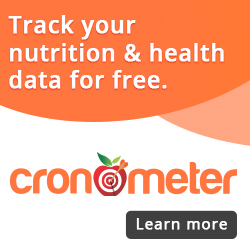 Track “Net Carbs” when you track carbohydrate. Net Carbs are calculated by taking the total carbohydrate content of the food and subtracting out the fiber content. Make sure you eat plenty of low-carbohydrate vegetables for the best possible results. Invest in a glucometer that has 50-100 test strips. You'll want to test your blood sugar 2-3 times per day off and on during your first month on Keto. Then, you'll continue to test your blood sugar as it is the best measure of your progress. To establish a baseline, test your fasting blood sugar first thing in the morning for at least five days. Two hours after a meal, test your blood sugar.According to the ADA, this number should be less than 180. Track this for at least five days to establish a baseline. You can learn a lot about how your body by taking a blood sugar reading before and after exercise. There are three different methods for tracking the amount of ketones your body is producing. It is always recommended you take your ketone levels first thing in the morning. Note that taking exogenous ketones will skew your results. Using a Ketone Blood Test works very similarly to using a Glucometer. You prick your finger and use a test strip inserted into a machine to test your ketone levels. This method is accurate and the most expensive method to test your ketone levels. Replacement test strips currently cost around $1 each!